Today, ceiling fans come in a variety of styles and include a multitude of lighting solutions, with many of which being controlled by remotes. They allow users to set lighting levels, as well as fan speeds and reverse functions. Homeowners might be surprised to know that ceiling fans actually had their origins in the industrial revolution where they were used to keep factories cool. The homeowner needs to choose which style of ceiling fan will best suit their unique tastes – however, many go with contemporary or modern styles which are generally minimalist, making them suitable for a variety of rooms and decorating styles. #1 With light And Remote Control. #2 Be Bold With Blades. 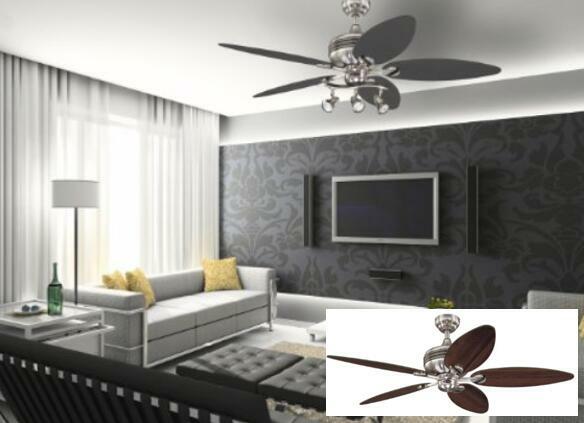 The shapes and coating of blase also play important roles in fans’ appearance, with functional blade techniques, the ceiling fans can get more performance on energy saving, rust-proof, dust free and even running much quieter. When purchasing a good looking ceiling fan, you are faced with a choice. Save some money with the traditional wall mounted control unit or go upmarket design light ceiling fan with a remote. 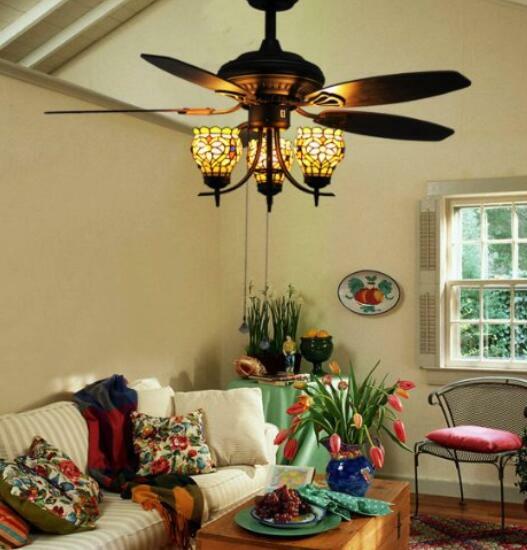 A light ceiling fan gives the room more illuminated and fashion atmosphere. Depending on the size of the room, a remote control may be nothing more than an indulgence. Compared with string switch, the remote control ceiling fan looks more chic and convenient to use. Of course, the alternative is the humble pull chain. Most people seem to prefer the wall mounted unit. The choice of the numbers of blades seems to be between two, three, four or five. The strange thing is that the number of blades seems to actually make very little difference to the cooling capacity of the fan unit. What is perhaps more important is the length (or sweep) of the blades which can be anywhere from 30 to 60 inches. The choice of the material that the blades are made out of will possibly have the most impact on the price. Solid wood blades come in at the greatest expense while veneers in combination with plywood or cheaper constant-density board are less expensive. Unusual materials such as sail cloth and acrylic may be less costly to manufacture but there could be a premium placed on the unique or creative aspect. The finish may also affect the cost. The most popular styles include wooden finishes and or high luster white, black or primary colors. The type of finish is very personal in nature and is most commonly selected in accordance with the style or character of the room in which the fan will be placed. 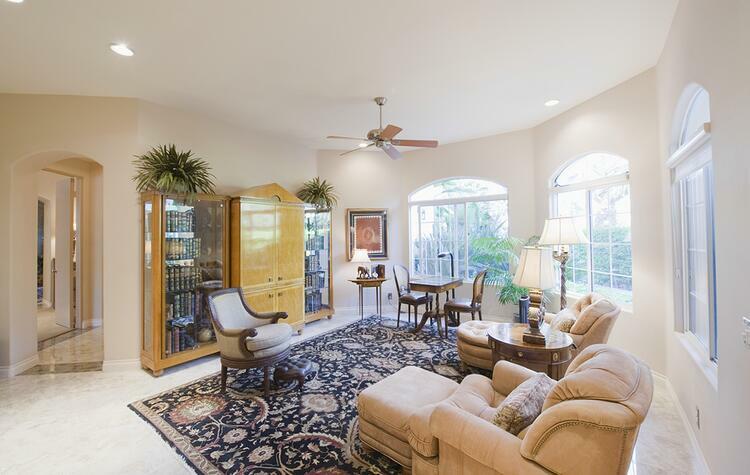 Perhaps the most important factor that may affect the selection of a nice ceiling fan is the size and placement of the fan within a specific space. The fan should not be too small or too large to be most effective. Smaller spaces may benefit from one small ceiling fan whereas larger spaces may be better suited to the placement of one large fan or two or more smaller fans. 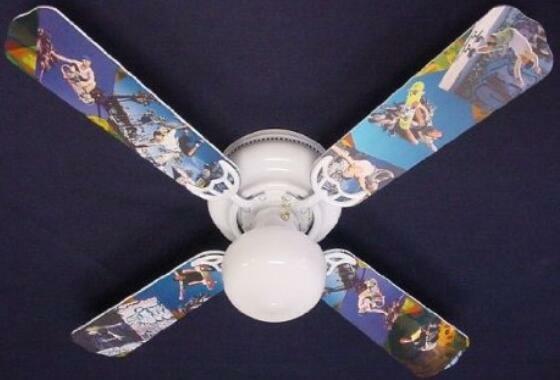 In general, a fan should be placed in the center of the ceiling to provide the greatest air circulation. The fan should ideally be installed around 24cm from the ceiling and any surrounding walls to promote optimal air circulation within a room. 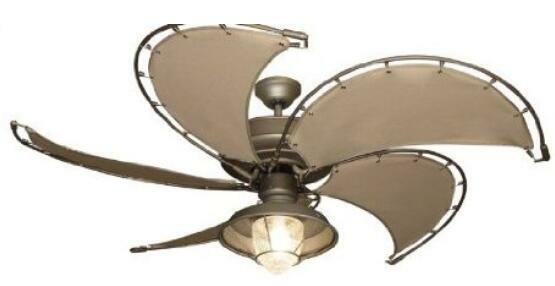 Go Best Small Ceiling Fans For Bathroom for more small size ceiling fans. So what does the homeowner in search of best designed contemporary ceiling fan style have to look out for? 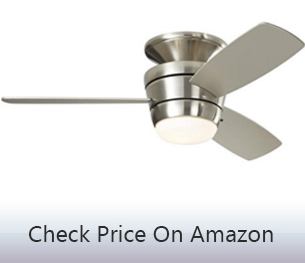 This fan below are very different from the common shaped blades ceiling fans, try it now! If you want see more outdoor ceiling fans, we have a collection for you >> Best Reviewed Outdoor Ceiling Fan Fit Your Outside Needs.